The WTO conducted its 7th review of China’s trade policies in July. The biannual Trade Policy Review (TPR) provided WTO members with an opportunity to take a close look at China’s trade and economic policies and developments since its last review in 2016. 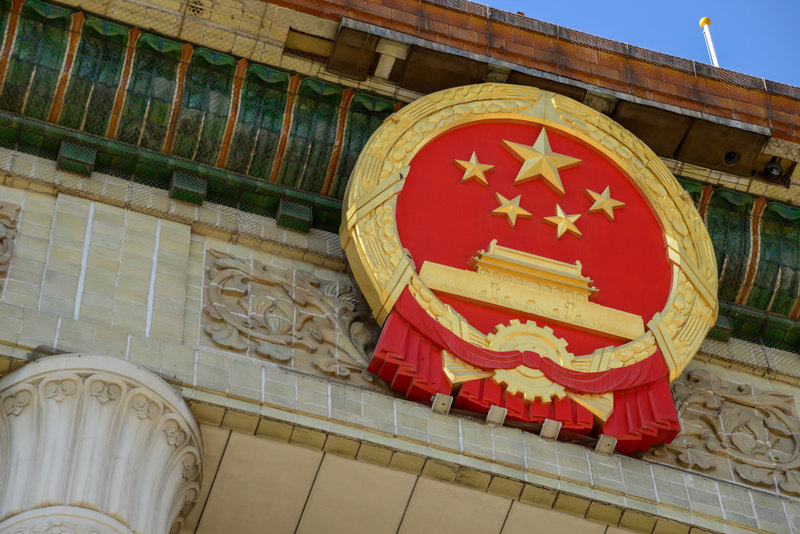 This post examines salient elements of the Review relating to government procurement in China, including its growth, the procurement laws that regulate it, buy domestic policies and preferences for small businesses, as well as its use of public-private partnerships. According to Chinese data provided in the TPR, the total value of China’s government procurement increased significantly since its last WTO review, rising from RMB 1.73 trillion in 2014 to RMB 3.11 trillion (approximately $456 billion) in 2016, the latest figures available for each year. The 2016 procurement figure represents only 4.2% of China’s GDP, in contrast to the 10% to 15% of GDP typically seen in most countries. The WTO Secretariat suggested that China’s “relatively low ratio” may be due to the exclusion of important infrastructure projects undertaken by state-owned enterprises (SOEs). That procurement is not subject to the Government Procurement Law and thus is not included in China’s procurement data. Local governments continued, as in the last review, to account for 95% of China’s government procurement. The TPR highlights differences between China’s two primary procurement laws: the Government Procurement Law (GPL) of 2003 and the slightly older Tendering and Bidding Law (TBL) of 2000. The GPL and its 2015 Implementing Regulations remain the primary legislation regulating China’s government procurement activities. The TBL applies tendering and bidding procedures to certain classes of procurement projects in China, notably construction and works projects, without regard to the type of entity that conducts the procurement. The GPL’s Implementing Regulations confirm that the TBL’s procedures apply in the procurement of construction works where tendering is used. The TBL is, “de facto”, the law that governs procurement by SOEs. The two procurement laws are administered by different agencies. The Ministry of Finance oversees the GPL. The Ministry and the finance departments at sub-central government levels are responsible for supervising government procurement at their respective levels. That includes developing relevant implementation rules and handling suppliers’ complaints. The National Development and Reform Commission (NDRC) has jurisdiction over the TBL. According to the Secretariat, the TBL’s Implementing Regulations, which entered into effect in 2012, are being reviewed to facilitate the use of e-tendering and reflect developments in other tendering practices. The NDRC published proposed amendments for public comments in August 2017. In addition to a “buy-domestic” provision in the GPL (Article 10), China maintains policies that favor small and medium enterprises (SMEs). They include set-asides, price preferences and the encouragement of joint bidding and sub-contracting. Under the set-aside policy, budgetary authorities must “reserve no less than 30% of their annual procurement amount for SME suppliers” and should allot not less than 60% of the reserved amount for small and micro enterprises. Under China’s price preference policy, small and micro enterprises are eligible for a 6% to 10% price preference in the evaluation of tenders. When such firms submit a tender with other enterprises as a consortium and the small and micro enterprises’ share is more than 30% of the total value of the tender, the consortium is eligible for a 2% to 3% price preference. China also encourages large enterprises with government procurement to sub-contract to SMEs. According to the TPR, Chinese authorities have promoted the use of public-private partnerships (PPP) in government procurement in recent years in order to attract private funds to the government’s provision of public goods and services. In 2014, the Finance Ministry published Administrative Measures on Government Procurement of Public-Private Partnership Projects, which primarily “apply to the process of selection of private partners by procuring entities”. The measures are based on international best practices, in particular the UNCITRAL Model Legislative Provisions on Privately Financed Infrastructure Projects. The rules for PPP projects are similar to those for conventional procurement. The TPR also addressed China’s commitment to seek membership in the WTO Government Procurement Agreement (GPA). In the government’s TPR report, China reiterated its promise to “accelerate” the negotiation process to join the GPA, as it had at the June meeting of the WTO procurement committee. In addition, the TPR chair noted in his concluding remarks that “Members looked forward to China’s early accession” to the Agreement. This entry was posted in China Government Procurement, WTO Trade Policy Review and tagged Buy domestic policies, China, China Government Procurement Law, Small business set-asides, Tendering and Bidding Law, WTO Government Procurement Agreement (GPA), WTO Trade Policy Review by Jean Heilman Grier. Bookmark the permalink.